Welcome to the October Pals Blog Hop where we are celebrating an early Halloween and Harvest season. This month we are sharing Halloween and fall projects using our wonderful Stampin’ Up! supplies. You may just be starting the blog hop or may have come from Nicole Watt at Pixel Maven’s Retreat on the Pals Hop. If you get off track at any time, the full lineup below will help you move along from blog to blog so you see all of the amazing creations. Originally I had this whole fall-themed card planned out! Lovely As A Tree! Aqua painters! The whole scene framed by delightfully-aqua-painted-fall-colored leaves! 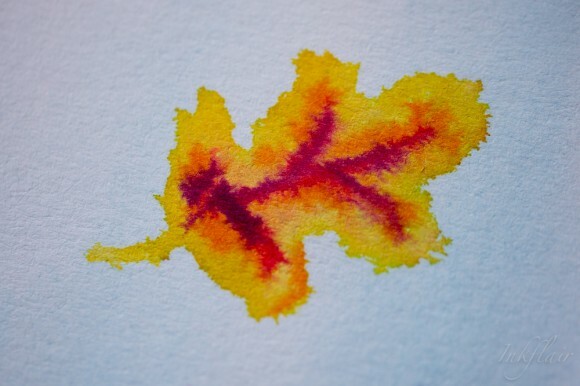 And then, I thought, maybe I should try actually aqua-painting some delightful fall-colored leaves first. No, wait, actually, I was foolish and impatient and tediously created a subtle sky-ish background from carefully painting on Pacific Point and Soft Sky ink onto a damp sheet of watercolor paper. And then I started happily painting leaves on top of it. What’s that you say? 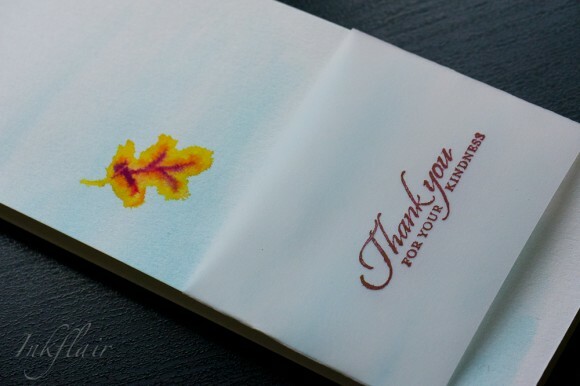 There’s only one leaf on that finished card? Well, that’s because I messed up all of the rest, and then had to cut the card into that weird tall shape to cut out all the bad ones. I used the outlined leaf from the Autumn Wooden Elements (Holiday catalog, p. 46) as a stencil to get the shape, but the leaf in the Fun Fall Framelits seems to be the exact same size and could work, too. It’s painted on in Crushed Curry, and then I kind of outlined veins in Pumpkin Pie, Real Red, and Blackberry Bliss and let them blur out a bit on the wet paper. And then I dithered about how to turn it into a proper card for a couple days, forgot about it, looked at my calendar and—“Aaaahhh! Blog hop tomorrow! !”–hastily stamped one of the sentiments from the Wetlands stamp set in Blackberry Bliss on a piece of vellum and folded it on, and now I have an actual card-ish type of object! 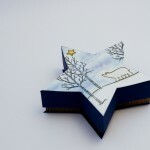 The next stop is Beth Beard at My little craft blog on the Pals Blog Hop! Thanks for visiting and I hope to see you next month. I sympathize with your tale of woe and appreciate that you blogged about it! I rather like the idea of what you were going for! lol! Thank you for your comment on my blog, I blame my mother for stealing my recipe book and then making these cookies to begin with! I think I need therapy, cookie therapy! 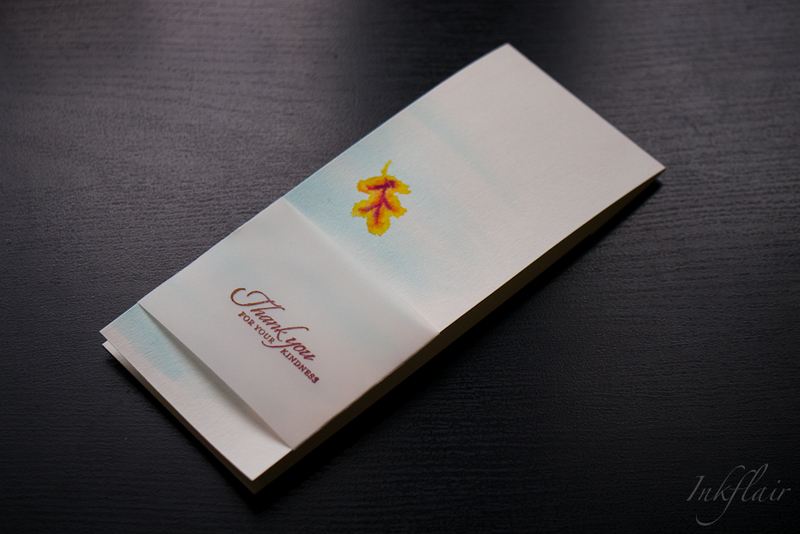 This is a prime example of #cardfail to #cardsuccess I LOVE the simplicity of the single leaf – it’s stunning (even if it isn’t what you were going for). 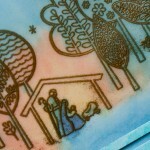 And, your hints about using the woodcut or the framelit as a stencil to make the shape is genius! Love your sense of humor, Amanda! 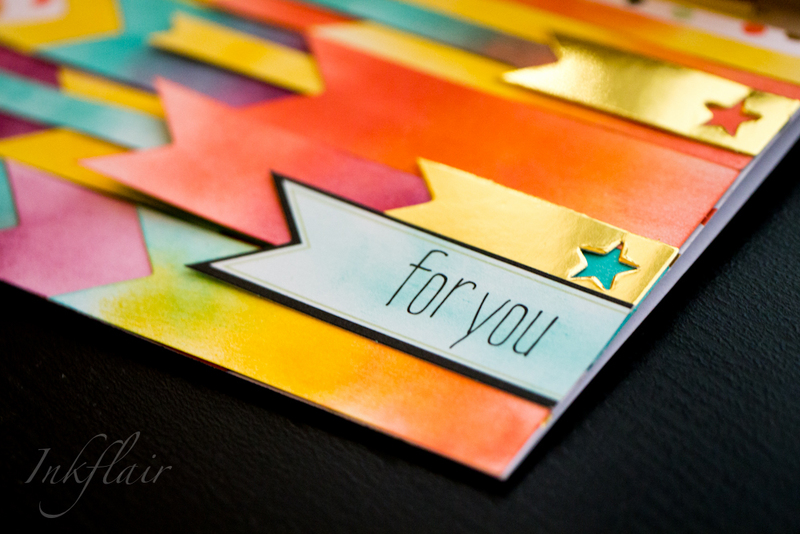 Your turned “card fail” to lovely CAS… really like the vellum belly band idea! Amanda, your card and post will help ALL of us to think outside the box when things go wrong. I love your finished project! That’s really creative and really beautiful. I thoroughly enjoyed reading about the process too. Too funny! I think we’ve all had “those cards”! lol Yours worked out very well in the end and that’s what counts! Love you story – sounds a bit like me! 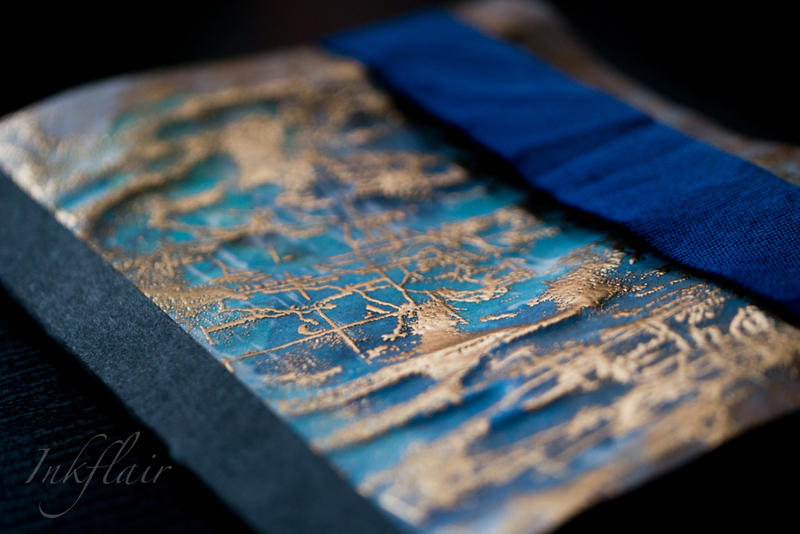 Your single leaf in the sky is beautiful and I commend you for submitting it for the blog hop! Love it Amanda! Oh, the card too. 🙂 You really need to go into comedy. 😉 TFS my friend. 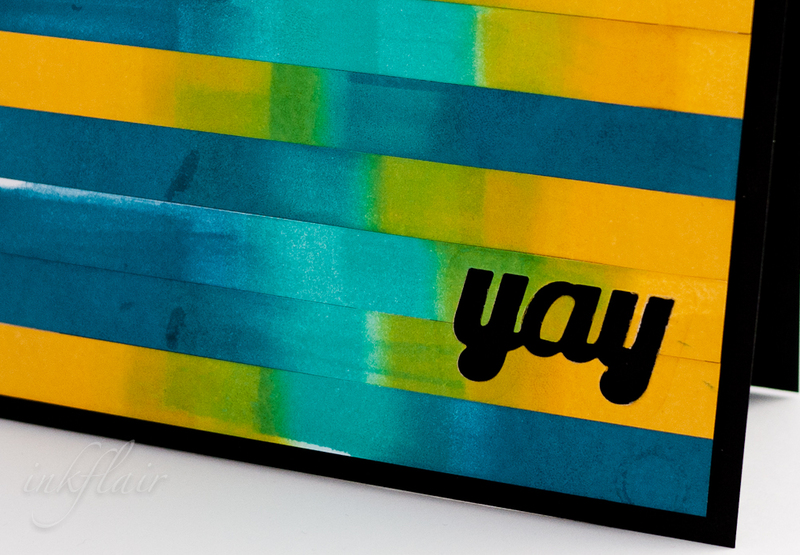 Amanda, your card is beautiful and so creative!